As a landscape Gardener in Kemsing we provide all types of services as described below. We are friendly and polite, we provide good quality work and we mostly work from good clients recommendations. 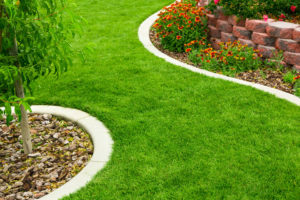 If you’re looking for a good Kemsing Landscape Gardener give us a call to chat about your requirements. We use all different types of stone from Marshall’s, Brett and London stone in order to give the variety to fit your specific requirements. All of our patios are installed under the regulations of excavating the area at 150ml deep, membrane, sub base of type 1, sand and cement and the stone of your choice. The products are guaranteed for 5 years. Herringbone, Basket Weave, Stretcher Bond, Aggregate Driveways, Permeable Paving, Shingle driveways, slab driveway, Drive Grid and original Cobble. All driveways meet with the regulations of digging from 250-300 mil deep. We also install soakaways which are fitted for rain water to be contained within the road or street. Please see our Gallery page for examples of Driveways in Kemsing that we have installed.